CAKE's Point of Sale can help your restaurant run like a well oiled machine from the kitchen to the host stand. Need to change a price on the fly, add an item, or update options? 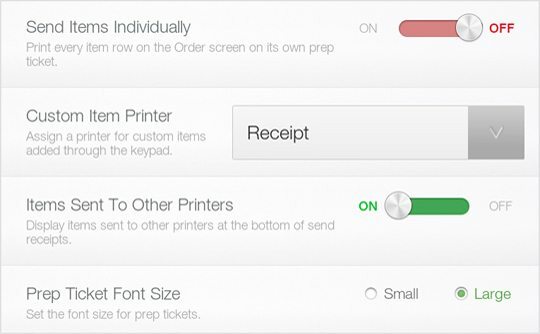 The quick menu edit feature in CAKE’s Point of Sale allows you to do all this, and more, in a few seconds. The CAKE Point of Sale has been designed to allow flexible order management no matter how complex your workflows are. Whether it’s firing menu items to multiple prep stations or requiring approvals for comps, CAKE Point of Sale offers you a simple and intuitive dashboard to customize your experience. Down to your last 10 filet mignons and want to make sure your wait staff doesn’t disappoint a hungry customer? 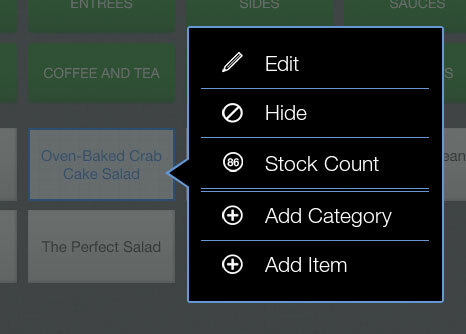 Set up your stock counts for critical menu items and CAKE will automatically update in real time as orders roll in. Free basic timecard management allows you to automatically clock-in employees, track breaks, monitor overtime, and allow manager reviews. If you use your CAKE Point of Sale for timecard management you can also run flexible payroll reports. CAKE Point of Sale makes it easy for your servers and staff to divvy up the tips at the end of the shift. CAKE Point of Sale also has an option to integrate with 7Shifts, a powerful workforce management plugin, for an additional monthly fee. Your internet is going to fail, but that’s no reason your Point of Sale should as well. Every CAKE Point of Sale is designed to work when your internet is on the fritz and return to normal once the issue is resolved.